It’s been a few months since the last newsletter , where does the time go! I have been super busy immersing myself in my latest training project, you may remember me starting in November 2017 , well 5 months into the 2 year training to become A Shamanic Practitioner and I am absolutely loving it. 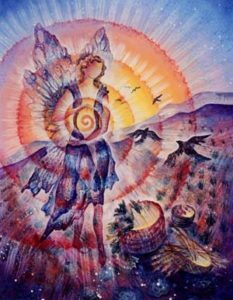 Using shamanic psychotherapy techniques allows the client to use tools within a Safe and confidential space where they are able to use a Shamanic journey to delve deeper to within their own subconscious, dream state, down through the layers to access information and positive resources which they may be blocking from their conscious awareness. The journey takes the client to a Theta brain wave state, which is a very deep trance like state. Within this deep theta brain wave state (even without a “successful” journey) clients will often feel a deep sense of relaxation and well being, thus accessing a state conducive to spiritual, emotional, and physical healing. 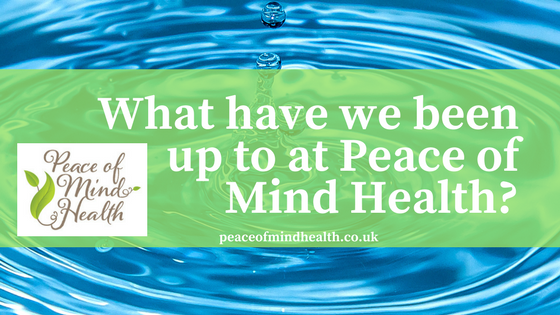 It’s not just as simple as gluggling a couple of extra glasses of water here and there, the body is 80% water and if it is not in a constant state of hydration then the complications can be far reaching. If you are thirsty or have a dry mouth then you are waaaayyyyy beyond dehydrated. When the body is short of water Histamine is activated to try to send water (in order of priority) to the brain, lungs, liver, kidneys, and glands, then comes the muscles, bones and skin last. 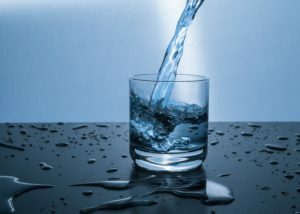 If there is not enough reserve water then it will be taken from the body which then makes the histamine over stimulated and the dis- ease of the body is shown in allergies, auto immune conditions such as rheumatoid arthritis, pains in joints, headaches, digestive distances , skin conditions, acid reflux , heartburn Weight gain , hormonal imbalance , oestrogen dominance , CFS, fibro etc. 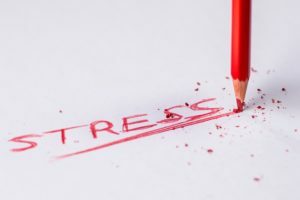 Stress also plays a major factor in creating dehydration within the body as the body is on a high state of “ adrenal response” when under stress. This means the body thinks it has run a marathon constantly, yet isn’t getting the water to re balance it. Another factor to be aware of is that when the body is dehydrated, it is also becoming deoxygenated. We know that cancer thrives in a low-oxygen and acidic environment ( severe dehydration) in 1931, Dr. Otto Warburg won a Nobel , he concluded that cancer cells grow due to anaerobic (without oxygen) respiration and use sugar fermentation for energy whereas healthy cells thrive in an aerobic (with oxygen) environment using protein for energy. Prevention is always the best route . The Sunday morning meditation workshops have been a huge success and I love showing The students some great techniques to facilitate their own energy systems for self help and healing. 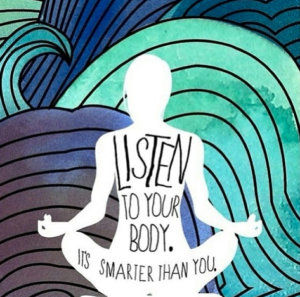 We are aware that we have a physical body, we are aware that we have an emotional self …if we are lucky we may also be aware that our emotions affect our physical symptoms, but how often do you pay attention to your energy body (chakras and meridians)? The energy body are our subtle energy centres within both our field and physical self. If the energy body is in balance then we are less likely to take the full impact of emotional disturbance into our physical body ( which then becomes dis-ease or dis-harmony ). Within the workshops the students learn about the chakras and how to balance them . Over time I can see the transformation and growth in these individuals as they both grow in confidence and awareness. We also learn about the powerful art of visualisation, using the power of the subconscious mind to empower, gain insights or let go of old patterns . Talking of letting go of old patterns, have you ever thought about the power of your ego? Why not read about it here. There is also some seated qi gong , mudra meditation or nidra yoga depending on the groups needs. Why not join us click here for dates . Please note it is not a drop in class and must be prebooked. ← Are humans really intelligent ? …power of the ego .